The User must also check the name of the Auction House whose auctions he or she is interested in and accept the newsletter function. The User must check the regulations acceptance box. 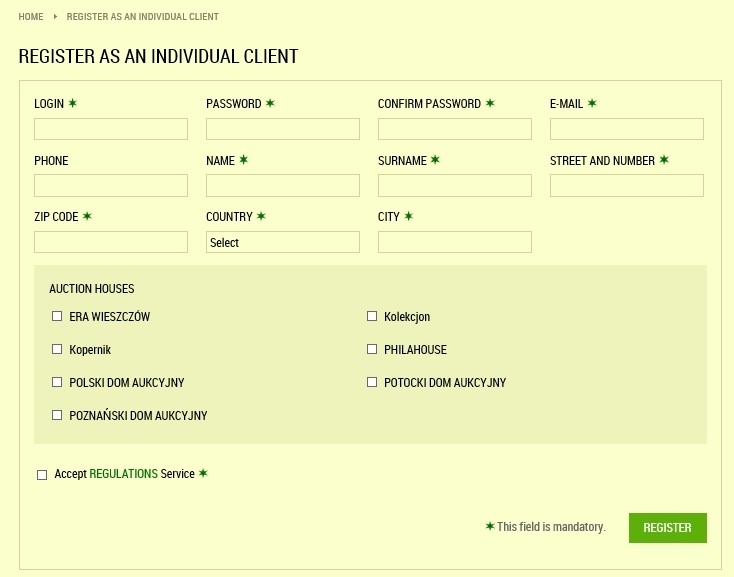 After the form approval and the correct data validation, an inactive account is created. The User is sent an email with a registration confirmation hyperlink. After entering the address defined by the link, the account is activated. After bidding, Users can view all the bidden items offered by other Users. 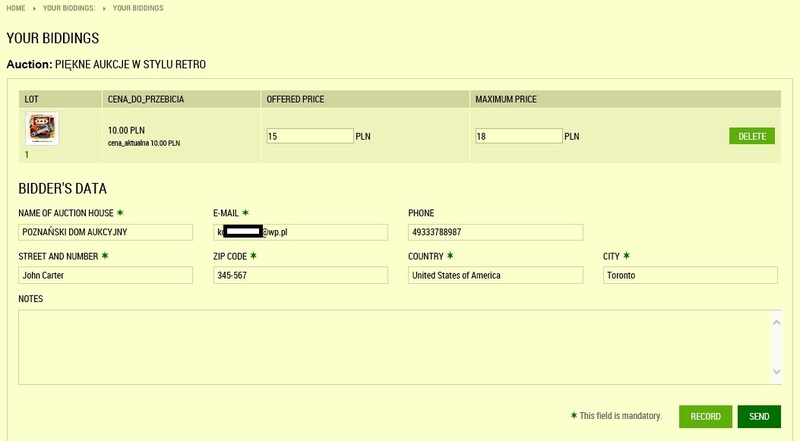 In Your biddings, Users can view and edit their auctions. Users can change their password used for logging into the service. Users can delete (unregister) their accounts. This can be done only if the following conditions are met: the User is not participating in any active auction, and all his/her payments for Auction Houses and PhilanetAuction are made.